Buffalo London, the cult '90s brand best known for their chunky club kid footwear, had a major revival last night during New York Fashion Week. As such, the Spice Girls should now also feel safe to re-emerge. We'll wait. 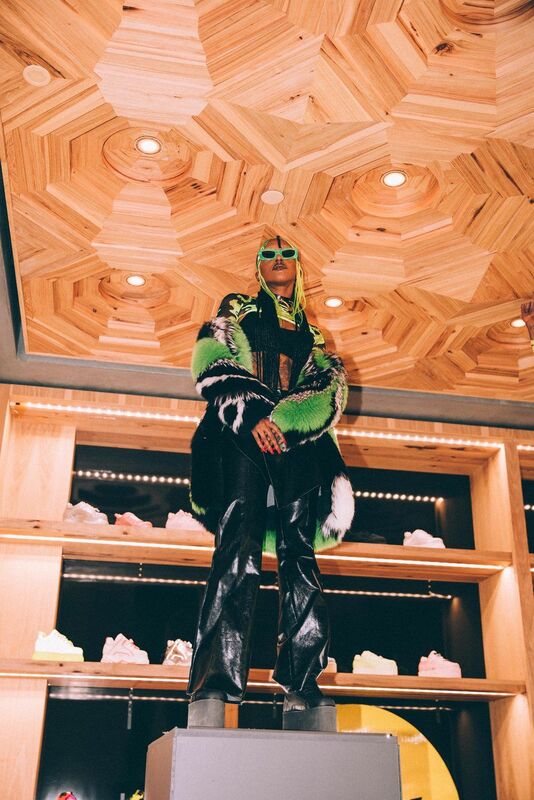 The brand held its first presentation at downtown Manhattan's Next Century store, while also marking its reintroduction to American markets. CALA creative director Ruth Gruca styled models like Vic Mensa, the Clermont Twins, Asian Doll, and Dorian Electra in streetwear looks courtesy of Next Century, and paired them with either the Hightower or Buffalo Classic style. Famous faces like Khalid and Shaun Ross were also in attendance. In addition to featuring its most original shoe designs (including white-on-white Hightowers and yes, leopard creeper-style platforms), Buffalo London also introduced new low-top styles. Take a peek at the looks and some of the behind-the-scenes action, below. You'll have to wait a few months until the new Buffalo London shoes hit stores, but get your fix with the Next Century looks the models are wearing, shoppable here.